As our state celebrates Alaska Day this weekend I’ll be attending several community events with my family. Alaska Day is an especially important celebration for Sitka. As the capital of Russian America it was the site of the formal transfer of Alaska from Russia to United States. On October 18th, 1867 dignitaries from both governments gathered on Castle Hill to retire the Russian colors and raise the American flag making the conveyance of Alaska official. The annual festival is a wonderful time for the community and a great reminder of Alaska’s history. 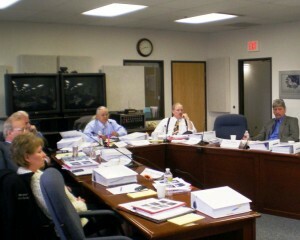 Friday I attended the first meeting of the Alaska Northern Waters Task Force in Anchorage. The task force was formed to coordinate state and federal interests resulting from the opening of arctic waters. The group will work to put Alaska at the forefront of U.S. Arctic Policy, addressing issues of transportation, national security, and resource development. The task force includes legislators, arctic community leaders, and representatives of state and federal agencies. It’s crucial for Alaska to recognize the strategic importance of arctic waters. The areas off of Alaska’s northern coast have some of the richest oil & gas deposits in the arctic. As sea ice declines we will need to come to grips with potential arctic shipping routes. This summer saw a large increase in arctic passage including cargo ships, luxury yachts, and the first Russian supertanker carrying natural gas. This meeting featured presentations from the Coast Guard, NOAA, U.S. Arctic Research Commission, Shell Exploration, and the White House Office of Science & Technology. During this next year, the task force will meet in many of our Northern Waters communities. On December 2nd we will travel to Barrow for a joint meeting with the Arctic Caucus of the Pacific Northwest Economic Region (PNWER) to discuss arctic infrastructure and international issues. 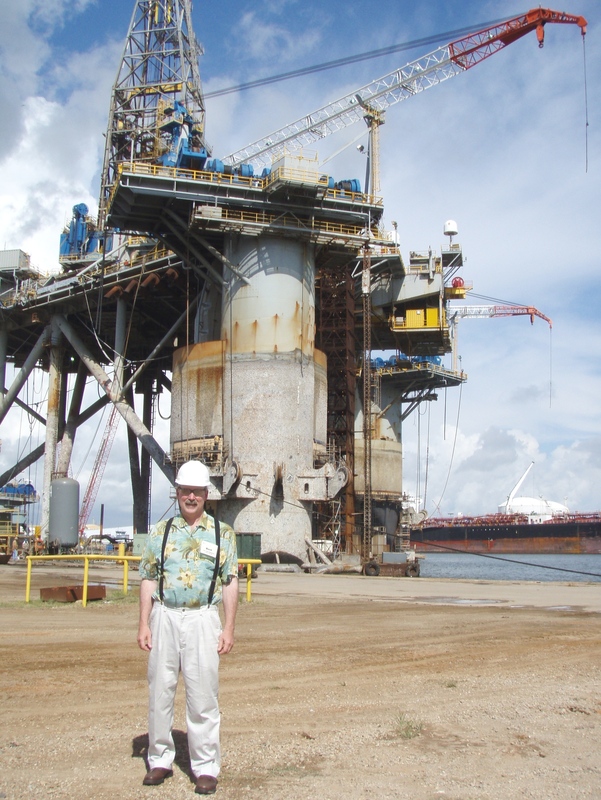 I recently returned from the Energy Council’s quarterly meeting in Biloxi, Mississippi. The Energy Council is a legislative organization with representatives from 12 states, 6 provinces, and the country of Venezuela. Their conferences provide a great forum for discussing energy policy and an opportunity to introduce policy-makers to issues important to Alaska. The conference focused on the Deepwater Horizon accident in the Gulf of Mexico. It examined the gulf oil spill, spill response, and future policy implications resulting from the spill. Our group heard presentations from researchers, policy-experts from the Minerals Management Service, and Mississippi Governor Haley Barbour. As part of the conference I took a fly-over of the Mobile Bay and the deepwater production areas. I also toured shallow water production areas, on-shore processing facilities, and learned more about the Gulf Restoration Plan being implemented. Alaska has one of the most prolific oil & gas basins in North America. To best serve Alaskans, legislators need to have broad perspective of energy production. I’ve served on the Energy Council’s executive committee for four years and consider legislators’ work on the council a key part of our efforts to develop Alaska’s energy resources. As our state works to advance exploration in Alaska’s Outer Continental Shelf, it’s important to study the accident in Gulf of Mexico and its policy implications. During the next several weeks voters will consider two separate ballot initiatives that could provide a new swimming pool for Sitka. This Tuesday, Sitkans will vote on authorizing the city to issue $6 million in bonds to repair the Hames Center. On November 2nd, Alaskans will vote on an education bond package which includes $20 million for constructing a new multi-purpose aquatic center at Mt. Edgecumbe High School. Our community needs a new pool, and I’d like to draw attention to both proposals aimed at achieving this goal. Over the past several years the community has discussed the best way to provide recreational facilities for Sitka. Local ballot measures being considered this Tuesday propose the city issue bonds and raise property taxes to buy, and attempt to repair, the Hames Center. The center has served Sitka well, but has severe maintenance and re-construction needs. Engineers’ reports estimate basic repairs could exceed $13 million, over twice the amount raised by the local bond measure. Necessary repairs would include new mechanical and electrical systems, new gym floor, pool refinishing, and replacing the roofing system. Earlier this year, another opportunity to fund an aquatic center became available and the State of Alaska is poised to support such a project. During the past legislative session, I worked with colleagues to fund a new aquatic center as part of an education construction bond package being considered by voters. Separate from the local measure, the state ballot in November includes a general obligation bond for education construction. Bonding Proposition B funds $397 million in major education construction projects across Alaska. This includes funding for a Sports Arena at the University of Alaska Anchorage, Life Sciences Building at the University of Alaska Fairbanks, and $20 million for a multi-purpose aquatic center in Sitka. The aquatic center is a major investment by the State of Alaska in our community and will improve Sitka’s quality of life. The facility will enhance the educational experience of rural Alaska students attending school in Sitka. It will be available for community use, and will aide the State Troopers and the Coast Guard in public safety training. At a time when Sitka is facing several economic challenges, bonding and raising taxes to repair an aged structure like the Hames Center should be considered very cautiously. With the state preparing to fund and operate a brand new facility, our community should carefully review how to best advance important local priorities when evaluating local ballot measures. As Sitkans go to the polls next week I hope they’ll be aware of the important state investment included in the bond proposition on this November’s ballot.